“I was in graduate school when I met Bob Clasen. He was my first mentor in the field of Gifted Education. He took me "on the road." He taught me how to present to parents and teachers. He gave me confidence. He gave me a wonderful job - teaching the College for Kids course. He was and is my first role model. “Professionally, I write children's books. Grandma Says It's Good to Be Smart, sends my message to the next generation starting at an early age. Abuelita dice que es bueno ser inteligente" does the same. Color Me Purple is in process, a story of multiple intelligences and diverse cultures for children of all ages. Mentoring occupies a big part of my life. I introduced and coordinate a mentor program for Madison Rotary, a 500-member club. We give 21 high-risk high school seniors 4-year college scholarships every year for a total of more than 80 students in college at any one time. The mentors help ensure student success. Our college graduation rate far exceeds that of students from the diverse populations and tragic family backgrounds that these students represent. I was lucky enough to win a full doctoral fellowship to Columbia University (NYC). The highest WISC- IQ (150+) I ever measured was from a student in Wisconsin! Every child's success is my goal. The biggest reward for me is when children live up to their potential, once they know their true ability. Cultivate a culture of being A PRODUCER OF KNOWLEDGE, rather than just a consumer of knowledge. Emphasize the development of higher-order emotional skills--such as confidence, courage, frustration/stress tolerance, social skills, being non-judgmental, test anxiety management. Instill a passion and joy for learning. WCGT previous presidents and very dedicated parents, and students who are helpful to others. Mentors- Columbia University: Dr. A. J. Tannenbaum, Dr. Harry Passow, Dr. James Borland, Dr. Joe Renzulli. Role Models- Dr. James Gallagher at University of North Carolina Chapel Hill, NC. Astronauts living at the International Space Station (average IQ for astronauts is about 130 or 98%.) They are traveling at five miles PER SECOND. Doing my first book review - on topic of gifted leaders; Testing and encouraging potentially gifted/talented-- providing hope and desire to self-actualize one's potential. To motivate students to contribute to the improvement of the human-condition. Writing (Published book - How the Best Handle Stress (the Best being a dozen, world-class achievers). Interests- Following NASA and International Space Station crew and developments. Encouraging children to become involved with math and science. Dr. Robert Rossmiller has served as a teacher, counselor, GT advocate and UW-SP professor. It is largely through Bob’s efforts that the Wisconsin legislature finally adopted Standard (t), requiring school districts to provide programming for gifted learners. WATGs recognition for lifetime achievement, The Rossmiller Award, was named in Bob’s honor. “I have been retired for over twenty years. I never allow anyone to denigrate the value of gifted learners, even to the point of being obnoxious at times. Among senior citizens I remind them also about the importance of such students. As a grandfather I have counseled, pushed, persuaded, cajoled and supported every grandchild to develop all of their abilities. Six of them have post high school training, three are in college or will be this fall, four more to go. Now I am aiming at the four great-grandchildren. For each there has been or will be a reward when they finish. I returned to school at UW-M, once both of my daughters were in school, with the goal of taking the few credits I needed to become licensed to teach in Wisconsin. In the university library, I happened across Joanne Whitmore’s book, Giftedness, Conflict, and Underachievement, which I read cover-to-cover. I wrote to Dr. Whitmore asking her for advice about putting the information in that book to good use and, much to my delight, she wrote back to me! Her warm and thoughtful letter, advising me to reenter the teaching profession and put my passion for gifted children into practice, changed my life. I will always be grateful to Dr. Whitmore for taking the time to respond to my query, since the result was my very satisfying and exciting work with gifted children and the adults who care so much about them. Dr. Don Newman, my advisor through the MS program at UW-M was also a powerful professional influence for me. His sage advice and patient encouragement kept me on course even when the going got tough. When I made the move from gifted to “regular” education, I was faced with the daunting prospect of putting into practice what I had been preaching to classroom teachers for the past several years. It was philosophically important to me to provide appropriately challenging materials and experiences for each of my students, regardless of ability, a challenging prospect, indeed. Through the application of strategies that I had learned and taught as a resource teacher, plus the development of my own materials, I am proud of the excitement and sense of wonder that were present so often in my “regular” classroom. Having strained my memory for some time now, I find that I am unable to pinpoint a single student success story to relate. I was, of course, able to dredge up wonderful incidents that brought smiles to my face and warmth to my soul, but to point to one specific incident that stands out is simply impossible for me. Instead, I keep remembering the many students over the years who have let me know, in one way or another, that they continue to love learning and to achieve in their chosen activities, and that, in my mind, constitutes memorable student success. As the political winds began to change direction in Wisconsin, pedagogical priorities and philosophies changed within the state and in my own district. After agonizing about my personal situation, I realized that the best way to retain my integrity was to leave the field of gifted education and return to what is commonly called the “regular” classroom. (By the way, I have yet to find a “regular” classroom, since each room, each group of students, and each teacher is unique.) As it turned out, I don’t regret one moment of the 8 years that I spent as a “regular” fifth grade teacher! Based on this experience, I would advise future advocates for all children, first and foremost, to maintain one’s personal and professional integrity even though, occasionally, this may necessitate painful decisions. My husband and I moved to Jerusalem, Israel after our retirement in 2006, and we now hold dual Israeli and American citizenship. We spend much of our time here with our daughters and their families. We have 9 beautiful grandchildren, all gifted, of course, ranging in age from 16 to 2 (nearly 3) years of age. We both do some volunteer work as well. Ed volunteers at an archaeological dig near the Old City, and we both work with an English-speaking community theater group in the city as well. I have recently added a weekly stint as a volunteer in a high school near our apartment, where I work with a fabulous teacher, helping her with students learning English. I love being back in a classroom and improving my Hebrew as I work with these terrific kids. We love our life in the heart of Jerusalem, an exciting and fascinating city in a wonderful country. From 1989-1990, Barbara Kopack Hill served as president of the Wisconsin Association for Educators of the Gifted and Talented, one of the two organizations that were in the process of merging to form WATG. Coordinator of the Racine Lighthouse Program for Gifted Students. As a young educator in the early 70’s I worked with Dr. Barbara LeRose, the research psychologist behind the Racine Lighthouse Program for Gifted and Talented students. Her passion, understanding of systems thinking, and of how gifted children learn, as well as her creative thinking ignited an innovative approach to identify and serve gifted children K – grade 8. Working with Dr. Paul Torrance, the “father of creativity” helped me to see possibilities for how schools could respond to the challenges of educating gifted children. Years later Dr. Bob Clausen encouraged me to speak with parent groups and fellow educators to provide support for the development of programs for gifted learners. This led to working with school districts to design individualized educational opportunities for their students. While speaking at the International Conference for Gifted in Toronto I met Alvin Law. Alvin, the Saskatchewan Ambassador for People with Abilities was born with no arms as the result of being a victim of Thalidomide. After hearing Alvin talk about hope and enjoying his musical prowess (Alvin plays both the piano and drums with his feet) it was apparent that he was a remarkably gifted individual. The following year I asked Alvin to come to Wisconsin to share his inspirational story. He helped me understand the importance of looking for the gifts among our then underrepresented gifted students. I continued to meet numerous students and fellow educators who impressed upon me multiple dimensions of giftedness. These relationships have broadened my understanding and deepened my commitment to gifted students. There was a time when I believed the only way to provide adequate education for gifted student was to build a separate program. While creating multiple opportunities for students it became clear that just as a “one size fits all” classroom does not meet the needs of diverse students, a single program for gifted students was also not appropriate for gifted students. This realization led to the paradigm shift in my thinking. Why couldn’t schools provide a responsive and personalized learning environment for all of its students? This “aha” helped me decide to become a school principal. Instead of advocating for schools to adapt to the needs of gifted students we could use what we learned about educating gifted students to redesign schools! This belief framed the second half of my career where I learned to work collaboratively with others to redesign our American educational system one school at a time. After 40 years as an educator I have had the fortune of working with countless students and their families. The joys of witnessing young children grow into a passionate contributing member of our global society carries the kind of memories that will forever be etched in my heart. I am forever grateful to the remarkable young men and women who have already made significant contributions in research, diplomacy, music, the arts, business, medicine, preserving the environment, human rights, education and many more. The impact of your core values, deeply held beliefs, and courageous actions has impacted our international and universal needs. Learn to see the world from multiple perspectives. Realize that our personal mental models have limits. Invest in the system to help change the system so that students can receive the type of personalized, responsive education that they need and deserve. When someone asks, “Is it is possible to…” never allow yourself to say, “We don’t do that here”. Replace this thought with “We haven’t done that yet but why couldn’t we? ”. There is always a way to use a little creativity. Try something different that may be the key that unlocks the door to a new universe of possibilities! I am teaching at Cardinal Stritch University in the Master of Educational Leadership Program and have recently learned how to teach on line. Learning how to meet the needs of on line learners has also given me the flexibility to teach from our condo in Arizona during the winter months. My hubby and I enjoy traveling, hiking in the mountains, scuba diving and working in the garden. 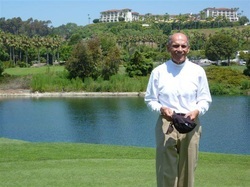 Time to read is my guilty pleasure and since retiring I have taken up golf. (I generally get the most swings for the money). United Way of Western Racine County has captured most of my volunteer efforts and it has been rewarding to witness how much good comes from this program. It has always been important and useful to me to see and hear the leaders in gifted education. In Wisconsin that was Bob Clasen and Bob Rossmiller (who led me to my first World Conference for GT in 1985.) In 1979 I studied GE at Teacher’s College, Columbia University with Harry Passow and Abe Tannenbaum. They were giants in the field – it was like learning baseball from the New York Yankees. Early on I (and later my district) connected with Roger Taylor whose passion and practicality really fir with us. At the World Conferences Joyce Van Tassel-Baska, Jim Gallagher and Barbara Clark – all widely published – became important influences. Those conferences introduced me to a wide variety of people (prominent or not so) from many lands. George Betts and Jim Webb kept the human side of GT students as a clear focus for me. Receiving WAEGT Meritorious Service Award as G/T Coordinator in 1990. Fighting the up and down cycles in gifted education in Wisconsin. The cycle seems to be 6 to 10 years. In general, the successful and visible careers some students have built as adults. Personally, the GT student who gave me a necktie of a Monet painting and another who gave me a watercolor from her Chinese homeland. Work at a steady pace with your eye on the long journey ahead. Keeping busy (as a docent, especially) keeps me young. 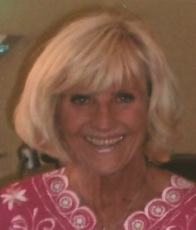 Marilyn (Marlie) Mathews Bendiksen , PhD. served as president of WCGT 1980-1981. Like so many of our Wisconsin GT pioneers, she created opportunities that continue state-wide today. The real highlights of my career in gifted/talented education were the results of co-founding the Wisconsin Future Problem Solving Program and the hiring of the first “High Performance” coordinator at the elementary level in our district– which very soon turned into three positions to serve elementary and middle schools. These positions continue still, despite budgetary pressures. The biggest challenge was always identification. Convincing teachers and administrators that we were looking for more than just the conforming achievers was a constant struggle. We resisted a sole measurement approach in favor of a multifaceted list of personal and behavioral characteristics. That won us many friends but we knew we were not catching everybody, especially the high creative students who weren’t also high achievers. Our parents were always the greatest allies and willing to keep the pressure on the administration. At a WCGT Board meeting in the Fall of 1981, following an amazing week at the Creative Problem Solving Institute in Buffalo, New York, I met Bill Hartje, an Evansville teacher. We discovered this common interest: and lo, we began Future Problem Solving programs in our schools that very Fall of 1981. We found a few others from other districts to join us, and our first State Bowl was in La Crosse the following spring. We were launched, I doing the administrative work and Bill the evaluation component. I surrendered the administration in 1985, but continued to be an evaluator and to oversee the program in La Crosse. To this day I hear from former students, parents and coaches about what a rich experience it was for adults and students alike. As an example, one graduate went to medical school at Stanford and now has many patents to his name – to which he directly attributes the way of thinking FPS engendered. Identifying bright students is much more intuitive than measurable – heresy in this day and age. Measurement can be helpful or not, depending on the design of a program. Opportunities for open-ended progress and for kids to explore/pursue passions in the midst of others with similar energy are critical. Efforts that appeal to the sleepers as well as to the bright stars truly ought to be the purpose of parents and schools who are dedicated to meeting g/t student needs. The issues haven’t changed: music, art and sports know how to do it, and the access to college level learning at high school is a wonderful motivator. When will schools see to it PK-12 students have equal opportunities to practice and soar – in whatever area? On a personal level, whatever child is within one’s purview deserves an adult listener and cheerleader who will encourage whatever interest or passion of the moment without forgetting that life is multifaceted. Each one of us can support curiosity in a child or young person and encourage the joy of “finding out” about the world we live in – in ways that are beneficial for themselves and others. In 1975, David Hallstrom, Superintendent of Schools In Greenville, PA, had been mysteriously visiting my Title I early childhood classroom for a couple months, usually sitting down in the midst of my center-based classroom with another person in tow for 10 minutes or so. Once I recognized that his companion was a Board member. There was never any mention of his purpose. Then, on the last day of school, about 30 minutes before the teachers could leave on the last day of school in June, he appeared in my classroom and invited me to his office. I was all packed up and ready leave, sitting with my feet up on my desk, knitting and listening to the radio. What was this all about? Was I in big trouble? What a surprise it was when he offered me the opportunity to develop a gifted program for elementary students – with IQs of 120+, Pennsylvania’s newly legislated standard. Quite frankly, I did not know what he was talking about or what I was getting into. Thus began my trek in g/t education. Doctoral programs in gifted were few and far between in 1975, and all my reading had led me to the work of Joseph Renzulli on school-wide enrichment as the approach that best fit my philosophy of education. I discovered one of his recent PhDs, Barbara Ford, at the University of Northern Illinois, and she agreed to be the supervising professor for my non-traditional degree from Union Graduate School, now Union Institute, one of the first non-traditional doctoral programs. My principal resource for creativity was the work of Paul Torrance, a key influence at the Creative Problem Solving Institute. Thanks to Superintendent Richard Swantz and his long-term brilliant guidance of the School District of La Crosse with two Directors of Instruction, first Fred Kusch and then David Johnston, support for gifted programming was never lost, despite the sometimes less than clear parameters. After seventeen years in program development and management in central office administration, I spent the last three years of my career as the principal of State Road School in La Crosse where I had direct hands on experience with parents, kids and teachers as they appreciated or resisted g/t practices in the midst of serving all students to the best of their abilities. My most important mentor was Vivian Neale, my high school Latin teacher who supported me, paved the way for my first teaching job and always remained interested in my career development. She taught me the importance of the hard work it takes to do well, to not be afraid of tough challenges, and that sometimes not meeting the mark is a wake-up call to get back to work! Now after 13 years of retirement, I am deeply involved with family history – past, present and future, researching and writing. For five months a year during this time I have also been a research assistant at the archives at Chautauqua Institution, Chautauqua, New York, our family summer community with a history dating to 1874. 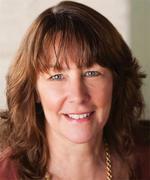 "Donna Rae was my first contact in gifted education when I moved to Wisconsin in 1996. She was gracious enough to take me to lunch, answer all my questions, and connect me with other people who became both professional colleagues and good friends. We worked together at UW-Whitewater for many years. Her Javits grant for developing and running the STREAM program for underrepresented gifted youth was a classic and a great contribution to the field. I am proud to call both her and her husband Bob friends." -Pam Clinkenbeard, WATG Board Member and Past President. A note or call from a former student telling about reaching her/his goal of becoming a teacher, lawyer, nurse, psychologist, community leader, etc. Seeing the leadership and success of the educators with whom I had the opportunity to work at school and university level as they effected changes for gifted and talented children and youth. Changing mistaken beliefs about gifted and talented young people and their needs (they'll make it anyway; they already have a head start; others need the money more; classes for the gifted are elitist). So changing attitudes in individuals and eventually in systems. Successes -- quite a lot. Failures -- ah, yes. Project STREAM (Support, Training & Resources for Able Minorities), a three-year Jacob Javits federal grant to improve identification of able minority students and expand their educational programming options. The program offered systematic campus and year-round special activities (both academic and arts) to students from Milwaukee, Waukesha, Delavan-Darien, and Beloit. The program continued following the Javits grant with support from the UW-Whitewater, UW-System, UW-Madison and participating school districts. It included teacher training, parent participation and school district support. STREAM also integrated with UW-Whitewater teacher education training as education majors shadowed and mentored students during their first educational field experience. STREAM students are now teachers, nurses, community leaders, attorneys, and psychologists. Some have multiple degrees. College for Kids, UW-Madison: Summer campus experiences for students working with renowned faculty. Stay The Course. Sometimes we are like Sisyphus, always pushing the rock of advocacy for gifted and talented youth upward, only to see it roll downward (almost crushing us) when we are close to the pinnacle of success. But unlike Sisyphus, we leave markers along the path that remain and succeed. And there are times when the rock stays firmly in position! Network: You are not alone. Find support from colleagues and friends. Share thoughts, ideas, ventures: what worked and what didn't and why. Be Creative: Try out your ideas. Put parts together differently. A great idea working in one venue may not work the same in another. Put on your creativity hat: "How might we do this in our settings?" Trust: Trust in yourself and your advocacy. Sometimes you will, but you will not always know when you make a difference. But . . . Believe: You do make a difference. Professors Phil Lambert, Phil Perrone, Anne Zarinnia, Richard Lee, Rob Rossmiller, John Feldhusen, Harry Passow. Always gifted and talented; always education: I serve on the Board of Eagle School in Madison, a private school for gifted and talented, the UW-Whitewater College of Education and Professional Studies Board and The UW-Whitewater Foundation Board. Museum of Modern and Contemporary Art (MMoCA) in Madison. I serve as a docent. It is one of my favorite and most special experiences. Traveling: Most recently, Bob and I took a cruise from Ephesus, Turkey, to Barcelona, Spain, with many highlights of Italy as we cruised south and then north; California (San Francisco and the Redwoods); New Orleans, where our son Douglas lives; and short trips to Chicago, northern Wisconsin, Iowa and Minnesota. Wales is next. Reading: It's eclectic. There is so much more to know, understand and value. R&R with Bob and Doug and the wonderful friends we are so fortunate to have in our world. The success of UTAG at the University of Wisconsin in the Education Outreach Office. Trying to move institutions into doing some things that turned out to be really good for them--but more importantly, really good for able learners. As I worked at UW-Madison for thirty-three years, I encountered some of the brightest, most creative people in the world. Many were on the faculty. Many more were in the student body. Many more were working their ways through the pre-K-12 system. Some I got to know really well as they worked in Madison Extension Education Outreach -- both staff and graduate students who worked with us on particular projects. Some extraordinary people served as demonstration teachers in the six gifted telecourses. Some have gone on to be distinguished professors at schools such as Duke, Michigan State, Arizona State University, Indiana University, The University of North Florida, and The State University of Washington. To quote Jim Valvano..."Never Give Up!" 15. All of the K-12 students selected for Yahara River Anthologies, Haiku Anthologies, Saturday Enrichment Programs and those who made presentations to the Dane County Tag Group. This is sometimes autobiographical and sometimes whimsical. Many of the songs were written for use in Telecourses. Most of the poems were forced upon me by images greater than my understanding. Dr. Rimm was WAETG President from 1983-84 and actively involved in the merger of the parent and educator groups that formed WATG. The conference theme that year was “10 Years of Problems, 10 Years of Progress.” She was the keynoter at our conference in 2001 and 2007. We look forward to her joining us again this year for our 40th anniversary celebration. My keynote address at NAGC to 3000 members From Overempowerment to Underachievement. Presentation on the Oprah Winfrey Show of my NY Times bestselling book, See Jane Win. My receiving my Ph.D. at the same graduation as our first daughter received her Bachelors degree at age 16. Our four children's MD and PhD. graduations. Presentation to me of the Ann Isaacs Award at NAGC. I actually think my greatest challenge was raising our four gifted children, but other challenges included accomplishing my Ph.D. and writing my books, Education of the Gifted and Talented, Underachievement: Causes and Cures and See Jane Win. Another important challenge for me is disseminating GIFT and GIFFI, our creativity tests, which I believe would be helpful for identification of creative underachievers. It is used in many states, but I wish it were being used by more school districts. A young man who refused to go to high school and came to live In Wisconsin with his grandparents so I could reverse his underachievement. He eventually became an engineer, married and had a family. A first grader who wouldn't do any work in school and eventually grew up to be a video photographer for the Discovery channel, National Geographic and more. A lonely 5th grader who was disorganized and an underachiever who graduated Univ. of Wisconsin and became an attorney. A first grader who I helped to skip who was perfectionistic, but eventually became a physician. Please help us to support gifted education in our schools. Understand that psychological mental health is important for gifted children to achieve to their potential and contribute to our society. Psychological health involves good parenting, effective teaching, healthy peer environments and reasonable positive expectations. We need to include counseling for gifted children in our schools. Most important in my professional life was the support I received from my husband and family. In addition Gary Davis, Del Siegle, Patricia Hollingsworth, and Julia Roberts made a huge difference for me. I also appreciate the support of many colleagues in gifted education as well as my own support staff who worked with me and cheered me on. I continue to love my clinic work and my counseling work at Menlo Park Academy. I thoroughly enjoy speaking to parents and teachers all over the country and internationally. I still enjoy writing and am updating my See Jane Win book with fascinating interviews of the women we interviewed 15 years ago. I enjoy speaking to parents and grandparents on family issues on cruise lines and visiting the world. Our family, including my husband, four children and their spouses and our 9 grandchildren as well as our extended family, continues to be the center of our lives. I feel fortunate every day to enjoy good health and to be able to continue to work in my professional career. Ruth Robinson, WATG President 2003-2004 and WATG Board member from 2000-2005 and 2007-2013. There have been many influences on my professional growth as an educator and I am lucky to have known them all. I knew I wanted to pursue studies in gifted education after being a teacher-facilitator for College for Kids on the UW-Madison Campus in 1983 which Dr. Ellie Schatz was the instructor for the graduate class. Dr. Robert Clasen was my inspiration through the Masters Degree in Educational Psychology with emphasis on gifted, talented & creative. Both he and Dr. Donna Rae Clasen have been mentors through their vision in creating the Gifted Coordinator Networks in Dane County and Whitewater. They modeled what we should be doing in our home districts. I am so happy to name them as friends to this day. Friendships through GT Coordinators Networks and WATG Boards have provided many role-models. The proudest moments for me have been when I can see the effect of work we do on greater numbers of students. One of those culminating moments came in Janesville when the English Departments of both high schools created a compacted English 9-English 10 course for talented students entering high school. It was argued that neither level could be skipped in good conscience, so I was overjoyed to see that project to completion. The course continues at Craig and Parker High Schools I believe with full enrollment to this day. The greatest challenge for me in gifted education is realizing that there are always new audiences who have not had the opportunity to really understand this population. Repeating the same lines over and over in a career of so many years wears on my patience until I remember it isn’t their fault that they do not know and that I have the responsibility to take the opportunity to widen their views. The students I have been honored to work with and for have provided many smiles over the years. One that comes to mind is receiving an invitation to a high school graduation from a student who had been in my classroom at EAGLE School as a second grader in about 1987. It took a while for me to realize who this young person was, but eventually I remembered the dyslexic child who blossomed in the small setting at the EAGLE of ten years prior. We were successful with twice exceptional’ kids before it was a hot topic. My advice for future advocates will mimic what others have said also. Remember that the prize is quality education of rigor, relevance and critical thinking for all of our kids. And I do mean ALL of our kids. They are children first and their gifts and talents are a very important part of the total package. The question is whether or not a decision is good for kids. If the answer is yes, then the change or adaptation must be made. Who can be against kids? Jackie served as WATG president from 2008-2010. She is the K-12 Gifted Talented Coordinator for the School District of South Milwaukee. Gifted education has always been my passion, and I have always been interested in equity issues in identification and services for all gifted students. My proudest presidential moment was in April of 2010 when WATG hosted (along with the National Association for Talented and Gifted, and Milwaukee Public Schools, and with financial underwriting of a WI Department of Instruction Gifted Education Grant), the Overlooked Gifts Academy: Finding and Serving Children of Promise, in Milwaukee, Wisconsin. Over 250 people attended, representing 37 states and countries. Dr. Joyce van Tassel was our keynote speaker, and her topic was €Patterns and Profiles of Promising Learners from Poverty. A second equally important moment occurred in February 2010, when we brought Dr. James Webb, founder of Supporting the Emotional Needs of Gifted to Milwaukee, WI to deliver grand rounds at the Medical College of Wisconsin. Dr. Webb's topic was Dual Diagnosis and Misdiagnosis of Gifted Children. Our greatest challenge remains combating the stereotypes surrounding gifted kids, e.g., they will make it on their own, they don’t deserve anything special, we have so many other needs to worry about in education. We must ensure that each district in our state delivers quality programming for gifted learners. A second challenge is helping our medical and mental health professionals understand the unique challenges of being gifted, and supporting them as they support our students and families. I applaud the work of SENG (Supporting the Emotional Needs of Gifted) in recognizing this need, and thank the WI Department of Public Instruction, and WATG for recognizing and promoting this issue. One of the joys of living in today’s digital age is the ability to follow student success trajectories. Though I can tell numerous stories of former students who are highly successful in many high-profile careers across the world, my favorite stories include those who, with encouragement, caught a glimpse of potential in themselves that they had not imagined, and pursued their dreams. My favorite stories include those of many first-generation college graduates, often from poverty and/or diverse cultures. Model the passion, the commitment, the tenacity, and the hard work that makes change possible. Surround yourself with like-minded advocates, and keep your focus on the kids. Refresh yourself as necessary, but don’t give up! My students have been my most enlightening influences. Beyond them, I was influenced by the Grandmother of gifted education in the Milwaukee area, Abbe Krissman. Her willingness to mentor and to share gave me the courage to mentor and share as I gained experience. On the state level, I cannot name each person, but have been blessed to work with many superb past and present presidents of WATG, and many outstanding, selfless, passionate, talented board members. On a national level, I will always admire the tireless efforts of the National Association for Gifted Children, and the diverse contributions of Sternberg, Treffinger, Renzulli and Reis, and Delisle, to name a few, for their stories are our histories. Finally, I’d like to publicly name my “professional crushes" Dr. Joyce van Tassel-Baska (yes, she knows about this! ), and Dr. Jim Webb (I suspect he guesses this). Their commitment to the whole gifted child sets them apart. At this writing, I am poised to enter my 43rd year of teaching. The educational landscape has changed immensely, and I am constantly reminded that we need our best and brightest minds to solve the problems surrounding equity and excellence for all learners. I continue to consult nationally to lift up our gifted learners. Additionally, I am following with great curiosity, trepidation, and hope as we retool our educational system, and am actively working for positive change. Personally, I am building my grandma skill set, and continuing to sing, write, read, travel, garden and remain curious. Some of my proudest GT moments involve the work I did within my school district and others involve the work done as President and Board member of WATG. Within my school district, I was very proud of leading the work to create a K-12 Gifted Identification and Programming Model. It took years of research, work, implementation and loads of struggle. When I received the award for Outstanding Gifted Coordinator from WATG, I felt a surge of pride in the work being recognized. As president of WATG from 2005-2007, I was proud that we successfully advocated and lobbied for the position of full-time Gifted Education and Advanced Placement Educational Consultant to be restored to the Department of Public Instruction after more than 10 years without one. We were also successful in working collaboratively with DPI to see some changes made to the statewide Standard “t”, which involved expanding it to ensure more diverse and underserved student populations were included in the identification process, as well as the use of multiple measures to build a pupil profile using valid and reliable instruments and measures. Finally, having the opportunity to speak at the World Gifted Conference in 2007 at the University of Warwick in Coventry, England allowed me to proudly speak about WATG’s impact on gifted education within Wisconsin to a global audience. A challenge I faced during my tenure as President of WATG was attempting to have the state rule changed so that more consistency would be provided in identifying all gifted students around the state and ensuring that they all received appropriate and consistent programming to meet their needs. For all the work our organization did, this did not occur. The other challenge which is ongoing is providing adequate funding for appropriate gifted programming to occur within each district in the state. Too often, the emotional, social and educational needs of gifted students are still not being properly met due to the lack of funding at local, state and federal levels. After more than 35 years in education, I have had the pleasure of seeing and hearing from numerous gifted students I worked with in the past. So many of them remember and comment on the power they felt when they learned how to advocate for themselves. One gifted student’s mother recently wrote me to say that her son, who is twice-exceptional, is forever grateful for the support and work we did with him during middle school years to teach him strategies to deal with his Asperger’s syndrome, while also allowing him to expand and grow as the mathematically and technologically gifted student he was. He was completing his Ph.D in Biophysics at MIT and looking at an array of professional opportunities all awaiting him. Another gifted student recently contacted me on Facebook to say that she had received her Ph.D in Classical Music and was starting a recording career, in addition to giving concert performances. A phone call from the parent of another gifted student let me know that her son was finishing his second advanced degree, one in music and one in mathematics. Yet another gifted student was recently quoted in the news media about the Supreme Court’s recent ruling on the overturning of DOMA. This was because he was completing his Ph.D in Gender Studies and their effect on local and national politics. Put succinctly, be a voice for the change that you want to see. Moreover, Be that change by modeling it. Use your voice, social media, and any other tool you have at your disposal to focus your energies on what you believe in. By its nature, change isn’t easy or often welcome. As you go about working on the changes you believe in, make human connections and value them. When all else fails, cherish those you believe in and those who believe in you. Think about what you want others to say about you when you’re no longer here. Then go about living your life to make sure you have met your goals the best you can. My fourth grade teacher, Jo Marks, who understood me and my educational needs. She allowed me to grow at my own speed and needed depth. Dr. Deborah Eyre, a British educator and professor in gifted studies who taught me all about the English model of gifted education during my sabbatical at Oxford. Dr. Barry Carpenter, who was my mentor and tutor during my work at Oxford. He taught me all about differentiated instruction and gifted education from a special needs perspective. Dr. Anne Nordholm, a colleague, who traveled the same road with me during the early years of immersing ourselves in gifted and talented education within our school district and continued to challenge and motivate me. 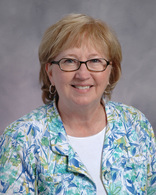 Deb Zaeske, an educator and former WATG Board member, who was filled with passion and high-energy for gifted students. She single-handedly insisted that I apply for and join the WATG Board of Directors, after seeing something in me that even I hadn’t seen. WATG Past-Presidents Dr. Pam Clinkenbeard, Ruth Robinson and Shirley Paulson, who each taught me different elements about being both an effective leader for WATG and also an advocate for gifted children. I am still a member of the WATG Board and work on the Annual Conference planning and awards committees. Currently, I am a member of the statewide Quality Education Committee, focusing on educator effectiveness and have served for three years on the Exceptional Education Committee for WEAC, as the gifted ed representative. I enjoy teaching gifted education courses and workshops when I am not working politically or doing some traveling. 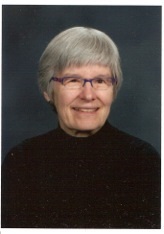 Shirley served as WATG Board president 2004-05 and a WATG Board member 2002-09. 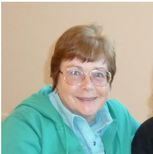 She was Green Bay Area Public Schools Supervisor for Gifted and Talented from 1999 to 2013. She has an MA in English Lit from the University of Minnesota and an MA in Gifted Education from the University of Connecticut. In 2002, I led WATG in strategic planning which sharpened the focus of our work. We identified several priorities, the first of which was the hiring of a fulltime, qualified DPI consultant for gifted education. Because of the work of many, we were able to accomplish this goal within five years. In 2005, WATG along with WASDA, DPI, and WCATY hosted the first ever Wisconsin Gifted Education Summit at the Wingspread Conference Center. The summit brought together gifted students, parents, educators PreK-16, as well as DPI and legislative leaders. In partnership with DPI and UWGB and as part of our equity work, Green Bay Schools hosted the first Phoenix Scholars Institute for African American boys from area middle schools in 2011. As Supervisor for Gifted and Talented, I organized the Green Bay Gifted and Talented Conference for Parents and Educators for ten years. I am also proud to have trained hundreds of teachers in differentiation and gifted education. The greatest challenges remain inadequate funding to meet the needs of gifted children and the lack of attention to their social and emotional needs. We must continue to work to require all pre-service teachers to learn about the unique academic and social and emotional needs of gifted children and how to meet those needs. One of the high school students who was part of our GT Self Study Committee, after learning that gifted students often prefer to work alone, came up to me after the meeting with tears in her eyes and thanked me for discussing this. "I always thought there was something wrong with me," she said. It was the first of many such incidents that helped me realize that we must do a better job of counseling gifted children about their giftedness. Another high school student was annoying his Advanced LA 9 teacher and his classmates by always wanting to talk about economics. I was able to connect him with an econ professor from UWGB who met with the boy once a week for over three years to discuss their shared passionate interest in economics. My advice is to create a laser-like focus on precisely what you want and then network with other like-minded individuals to accomplish it...and never give up! Pam Clinkenbeard has served as my mentor, answering all of my questions, encouraging me in this sometimes frustrating work, and reminding me to take the long view. Her work in establishing WISGIFT, organizing the Wingspread Summit, creating the licensure program, and many other initiatives has inspired me. At UConn I was greatly influenced by and continue to be grateful to Del Siegle (the best teacher I've ever had), Sally Reis, and Joe Renzulli. Although I recently retired, I plan to continue to learn and advocate for children. In addition to being involved with local arts organizations, I am working with a nonprofit organization on the Empathy Project as a way to prevent bullying. More than 30 years ago, Bill Hartje gave Wisconsin’s students the wonderful gift of Future Problem Solving. Back in 1993/94 the Wisconsin Future Problem Solving program hosted the FPS International Conference on the UW-Madison campus. Students, coaches and parents came from around the country and from several foreign countries. The first year the talent show fell on a Saturday evening. At the end of the program the New Zealand contingent performed a haka, the Mauri war dance, for the assembly. This is a stunning presentation. Then, as the group spilled out of the Memorial Union Theatre, they surveyed the union terrace. This was the weekend before classes started on campus and the place was packed with people enjoying the beautiful sunset and the summer evening. I have never been more proud of our program, the UW, Madison, or our state than I was at that moment! Our first FPS State Bowl was in LaCrosse in 1982. Participants worked on their team booklets in the morning, then we evaluated them for the closing ceremony and awards late in the afternoon. We were all new at this and the evaluators wanted to "get it right", which was fine except Marilyn Bendiksen (the other state director with me) was over in the auditorium with all of the participants waiting for the results. We finally arrived at our choices and rushed the names over but I will admit I was a wreck. Marilyn held out well thankfully and the program certainly seems to have survived just fine. I personally take great pleasure every time a former student, a parent or a coach relates to me a story of how being part of Future Problem Solving changed their lives. This has happened so often that I could not begin to count how many times it has happened, but it still makes me feel like I helped with a great program each time. You usually will never know where a step may lead. I first heard about FPS in a graduate class on the UW campus. Someone passed around a brochure telling about the program and a training session in Lincoln, Nebraska that summer. I attended that training, then came back and contacted Marilyn Bendiksen and we began Wisconsin Future Problem Solving. From there I have had the opportunity to meet people from around the country and from around the world. I have travelled to the other side of the globe to doing training in New Zealand and Australia. My life has changed because of my involvement in FPS. You never know where you may end up, but don't be afraid to take that first step anyway! Donna Rae Clasen was the teaching assistant of the graduate class when I first heard of Future Problem Solving. While she did not go to Lincoln, Nebraska with me, she was one of the first evaluators for the program and helped recruit others from our grad program. She has always provided encouragement to me and FPS. When I came back from an International Conference with the (crazy?) idea to host a couple of conferences here in Wisconsin, one the first people I approached was Bob Clasen. I explained what I wanted to do and his only question was "Where do we begin?" We never could have had the success we did without Bob's help in working with the University. If I am the Father of FPS in Wisconsin, then Donna Rae and Bob Clasen are the Grandparents of Wisconsin FPS. While I retired from teaching language arts in Evansville in 2012, I continue to be the director of evaluation for the Wisconsin Future Problem Solving program. Despite our best efforts, the world still creates plenty of problems for us to address! 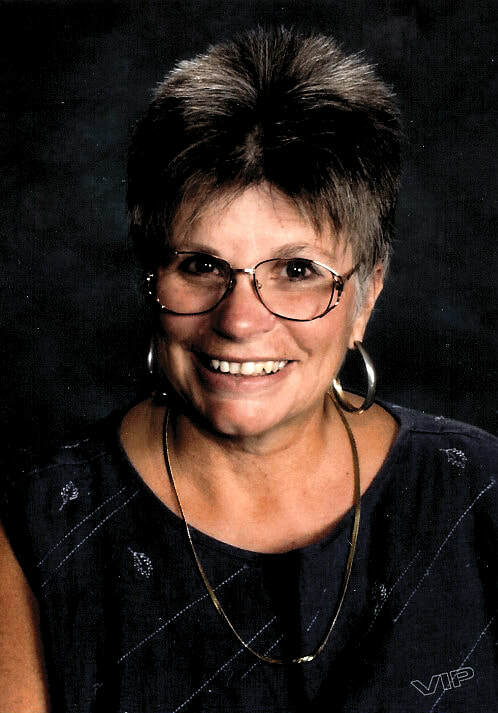 Bobbie served on the WATG Board, was the G/T Program Coordinator for Arrowhead Union High School for over 15 years and played a key role in creating the Whitewater TAG Network. I am hard pressed to come up with just one proudest gifted moment. There are so many. I felt very good when I was able to convince a student and his family to come to my high school rather than Brookfield Academy which was actively wooing him. He turned out to be a high school superstar in every way and he and his family were very appreciative of my work with him and them. I felt good when I was involved in other decisions that turned out well such as; radical acceleration, course skipping, and creative scheduling. It was the students who made the decisions successful; I just opened the door for them to do so. Their successes made me proud. My greatest challenge was trying to reach gifted underachievers. These attempts were often not successful and there were many students whom I never had a chance to try and help because there wasn’t time within my multiple responsibilities as a g/t program coordinator. There isn't just one. One was a student whom I decided to accept into high school after 7th grade. He was small and I worried about his fitting in socially. Each time I checked with him he'd grin and describe how happy he was with his challenging high school program. He solved his size issue by becoming a star in gymnastics and just being a nice kid. Another student confessed that he had been frustrated all through elementary school with his lack of challenge and lack of intellectual peers. In spite of being the top performer in the school, he found intellectual peers and felt challenged with the program we developed. Another student needed acceleration to accommodate her passion for her foreign language. I couldn't figure out how to help her teacher differentiate and, finally, I think to stop my nagging, she was skipped from 2nd year to 3rd year in her foreign language. It only took her 3 weeks to be 5th in her class and 6 to be first. She taught herself what she missed. My advice to future advocates of gifted students is to be creative in finding ways to meet the students’ needs and to develop a team approach with the teachers you need to work with. Be a risk taker as you allow the students to demonstrate what they can do. Work to get your administrators and support staff to believe in the importance of meeting the needs of gifted kids. One of my most appreciated professional influences on me was Donna Rae Clausen. I worked with her on the STREAM project, had her as my advisor for my MEPD, attended many of her workshops, took a class from her and just admired her and enjoyed my contact with her. In retirement I continue to work with students as a WCATY instructor. I greatly enjoy facilitating SENG parenting classes. I volunteer to help adults and children with problems get better through equine therapy. I ride my own horse as often as I can. I bike and geocache and love to travel. In retirement, I can take trips that weren't possible while working. My husband and I are supporting the education of a young man in Tanzania. I dabble in photography and computer games and get together with friends as often as I can. I continually look for opportunities to learn and work with others. My proudest GT moment would be plural and be moments and that would be serving as State WATG president. During my term I traveled and worked in many school districts as well as national conferences. Our monthly phone conferences that connected us from all parts of Wisconsin were amazing and the gifted association of Texas could not believe that we did a phone conference and did it monthly. Working with classroom teachers to have gifted education be inclusive in their curriculum. As part of my g/t program, once a student was identified they were to do a project of their own choosing. For many it was the highlight of their day as they could study any topic. Identified in second grade, a female student choose Helen Keller and sign language as her project. She continued her study of the deaf including all medical and physical aspects and when she entered high school I had to hire a Milwaukee professor to come to Mayville to work with her. Today she has her masters in sign language and is working in the Minnesota school system. Every child has the right to a systematic and sequential education. Work to see that they get it and get it on a daily basis. Many of the speakers at our conferences were so good. I really learned and enjoyed Nancy Johnson and taking classes at the University of Iowa Belin-Blank center. I retired twice. The first time was to be a care-giver to my husband who battled cancer for 2 1/2 years. Following his passing, my district asked me to return and train a person for my position. Now I continue to be an active member of the Dodge county retired educators, mentor a student, volunteer at a free medical clinic, the art center, play Mah Jongg, swim, travel and enjoy my children and grandchildren. Judy, the Founder and President of Free Spirit Publishing, grew up in Green Bay, Wisconsin, received a degree in education from the University of Wisconsin at Steven’s Point, and holds a master’s degree in guidance and counseling of the gifted from Norwich University, Vermont. A former classroom teacher and gifted-education specialist, Judy remembers looking in vain for kid-friendly information that addressed the real-life issues her students faced. In 1983, she made a decision to begin filling that void, starting her own company to offer accessible, contemporary books to help young people develop socially, emotionally, and intellectually. Authoring The Gifted Kids' Survival Guide (For Ages 10 & Under) and The Gifted Teen Survival Guide. One result of these books, which are based on surveys with gifted kids from many regions over a period of 30 years, are letters from readers. Their letters are a reflection of their need to be heard, and they almost always have questions. It's been a great privilege to respond to these young people. Dealing with misconceptions that persist, such as "gifted kids will make it on their own" or "all kids are gifted." It's also been a great frustration that we largely don't fund services for gifted students who surely deserve as much attention as any other special needs group. I have had a number of young people write letters to me long after having read my books. They recount how the Survival Guides have helped shape their lives, and what a difference it made knowing they weren't alone. These letters are testimony to the power of caring, and helping kids to see options. Persist. It's easy to give up in the face of opposition, lack of funding, and misinformation about the gifted. Still, our roles as advocates can make all the difference in the lives of gifted youth. Many, many experts in gifted education have influenced my thinking in terms of gifted education. But in terms of my focus on social and emotional needs of gifted kids, Tom Greenspon has stood out as a supremely intelligent, sensitive, supportive and well-reasoned mentor. As the founder and president of Free Spirit Publishing, I continue to be committed to bringing high quality resources to market that help inspire and educate teachers, counselors, youth workers, children and teens. At the Hollingworth conference in 1998 I spoke for the first time about children’s spiritual experiences. Whenever I have the opportunity to give a talk about it, many parents resonate with it and express gratitude that someone speaks openly on this topic. This is how I realized that there is a spiritual closet. Teaching at a college that did not have a course on the gifted and never had the room for one, consequently information about gifted students had to be presented in educational psychology. I remember a student asking, Why are we spending so much time on the gifted? Another great challenge was to finally start writing “Mellow Out, They Say.” Embarking on writing a book can be a terrifying proposition when you realize that you have to sustain a continuity of thought for hundreds of pages. Being one of the designers of Yunasa, a summer camp for highly gifted youth. In 1999, Betsy Jones, President of the Institute for Educational Advancement, and Jim Davis, Vice President invited a number of people to a retreat to devise a program to serve the personal and spiritual growth of profoundly gifted kids. Among the participants were Stephanie Tolan, Pat Gatto-Walden, Barbara Kerr. The first camp was in 2002 in Michigan with 15 kids who named themselves Guinea Pigs as they were the ones on whom the program was first tested. The camp grew to currently 65 participants at Yunasa East in Michigan and 25 at Yunasa West in Colorado. The kids keep coming back (about two out of three) and affirming that Yunasa is their home. Do everything you can to keep bringing gifted kids together so they can spend time together as so many continue to feel isolated. As I am the one credited with bringing Dabrowski’s theory and the concept of overexcitabilities to gifted education, the eight years spent working with Dabrowski were significant. The first three were in Canada in Edmonton at the University of Alberta where we met one very cold February day in 1967. When I returned to the University of Wisconsin as a graduate student in counseling (Phil Perrone was my advisor), Nick Colangelo and Ron Zaffrann were my classmates. Later, in 1980, Linda Silverman pulled me into her orbit. Dr. Perrone is Professor Emeritus, UW-Madison Department of Counseling Psychology. His research plus the many articles and books he has authored continue to inform and inspire all those who care about the counseling needs of gifted learners. Phil was keynoter at the 1990 WATG conference, Building Bridges. Rather than proudest I'd like to substitute "my most satisfying". It was my good fortune to have former participants in the Guidance Institute communicate how their lives had been positively influenced by participating in the program. My responsibility was to select the institute staff that worked with these students and their families. When I think of it, I am proud of the grad students who staffed the Institute, many of whom became leaders in gifted education. Trying to insure "gifted" was not a defining term of children but rather a very significant attribute of their being. I don't think I was very successful. I was approached by a fourth grader who was on medication to "control" his spontaneous behavior in the classroom. I can still hear him asking, "Can you help me - the medication makes me dull." We were able to work with his teachers and parents so they focused on creating enabling environments that resulted in the most actualizing outcome for this youngster that I can remember. Tap into neuropsychology as it is going to help us explain the unique learning needs of children with special gifts in more scientific ways. My major professor at Syracuse, Robert Dipboye, was my mentor and role model. However, the major influence was Abraham Maslow, who I TA'd one summer. Dip was humble and read people beautifully. Maslow thought on a different plane from anyone I had met - and for that matter - from anyone I ever knew to this day. 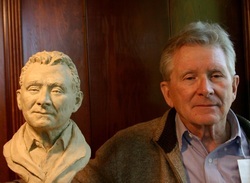 John W.M. Rothney, directed the Superior Students Lab at Wisconsin when I was hired. After he retired I changed the mission, the structure, and title. What I admired about John when he retired was that he tended his cacti in New Mexico, played golf, and indulged his passion for reading and good scotch. I have followed in his footpath but in Arizona. RATHER THAN SPEAKING ABOUT MY PROUDEST MOMENT IN THE REALM OF GIFTED AND TALENTED EDUCATION, I WOULD LIKE TO MENTION A FEW HIGHLIGHTS. THE FIRST OCCURRED WHEN MY FIRST-GRADE TEACHER IDENTIFIED A SMALL GROUP OF HIGH-LEVEL READERS. I VIVIDLY REMEMBER THAT A FEW OBSERVERS VISITED OUR CLASSROOM, AND I INTUITIVELY REALIZED THAT THIS SPECIAL OPPORTUNITY WOULD BE THE FOUNDATION FOR AN EXCELLENT EDUCATION. THE SECOND HIGHLIGHT OCCURRED WHEN I DECIDED TO RENEW MY TEACHING LICENSE WITH TWO ED PSYCH COURSES AT THE UW-MADISON. DONNA RAE CLASEN WAS AN INTEGRAL PART OF BOTH EXPERIENCES AND IMPRESSED UPON US THE VALUE OF "THE MIDAS TOUCH," THE MOMENTS WHEN WE AS TEACHERS HAVE OPPORTUNITIES TO TURN DROSS INTO GOLD. THE THIRD HIGHLIGHT OCCURRED IN 1990, WHEN, AS PRESIDENT OF WCGT, I WELCOMED THE FALL CONFERENCE ATTENDEES WITH A "GROWING UP GIFTED" ADDRESS, SINCE BARBARA CLARK WAS THE KEYNOTE SPEAKER. I ALSO UNVEILED "THE SKY'S NO LIMIT" POSTER, WHICH WCGT DISTRIBUTED TO EVERY SCHOOL IN WISCONSIN. INCLUSIVITY IS A CHALLENGE INHERENT IN GIFTED AND TALENTED EDUCATION. EVEN THOUGH MANY OF US ALWAYS TRY TO PROVIDE AS MANY OPPORTUNITIES TO AS MANY STUDENTS AS POSSIBLE, A FEW STUMBLING BLOCKS PRECLUDE THE REALIZATION OF PERFECTION. FIRST OF ALL, EVEN IF WE EMPLOY AS MANY METHODS AND STRATEGIES FOR IDENTIFICATION AS POSSIBLE, WE IN OUR HUMANNESS MAY FAIL TO INCLUDE EVERY STUDENT WHO MIGHT BENEFIT FROM A PARTICULAR ACTIVITY OR PROGRAM. SECONDLY, EVEN IF WE INVITE A STUDENT TO PARTICIPATE IN A PARTICULAR ACTIVITY OR PROGRAM, WE CANNOT FORCE THAT INDIVIDUAL TO DO SO. FINALLY, EVEN IF WE ARE AS INCLUSIVE AS WE CAN POSSIBLY BE, ONLOOKERS MAY QUESTION THE PROCESS. "ELITISM" IS ONE OF THE CHARGES THAT WE HAVE TO ENDURE. WE CAN MEET THE CHALLENGE BY BEING AS OPEN AS POSSIBLE ABOUT OUR METHODS AND STRATEGIES FOR IDENTIFICATION, BY ENCOURAGING STUDENTS TO FULFILL THEIR OWN POTENTIALS, AND BY SERVING AS ADVOCATES FOR ALL STUDENTS TO ACHIEVE AS MUCH AS THEY CAN AT THE HIGHEST POSSIBLE LEVEL. TO SINGLE OUT THE MOST MEMORABLE STUDENT SUCCESS IS DIFFICULT. HOWEVER, THREE SUCCESSES THAT COME TO MIND VARY IN SIGNIFICANCE AND OUTCOME. DURING MY FIRST YEAR IN THE WATERLOO SCHOOL DISTRICT, I TEAMED UP WITH THE HIGH SCHOOL SOCIAL STUDIES TEACHER TO OFFER FUTURE PROBLEM SOLVING TO HIS STUDENTS. LO AND BEHOLD, 1983-84 PROVED TO BE MAGIC BECAUSE OUR TEAM WON THE STATE BOWL AND REPRESENTED WISCONSIN AT THE NATIONAL COMPETITION. LATE ONE EVENING IN THE SUMMER OF 1987, I FOUND OUT THAT WYSO NEEDED A FRENCH HORN PLAYER FOR THE COMING YEAR. I IMMEDIATELY CALLED ONE OF MY STUDENTS TO TELL HER ABOUT THE OPPORTUNITY. SHE SPENT SEVERAL YEARS IN THE ORCHESTRA AND WENT ON TO MAKE MUSIC HER CAREER. THE LAST EXAMPLE COMES FROM MY TIME AT MONONA GROVE AND HAS A LESS FORTUNATE OUTCOME. ONE OF OUR MOST GIFTED STUDENTS, WHO HAD SEVERAL MAJOR SUCCESSES FROM AN EARLY AGE RIGHT THROUGH HIGH SCHOOL, NEVER FOUND A NICHE IN LIFE AS AN ADULT. WE CANNOT FORESTALL SUCH OUTCOMES DESPITE OUR BEST EFFORTS. ALTHOUGH I NEVER PARTICIPATED IN THE 4-H ORGANIZATION, MY ADVICE FOR FUTURE ADVOCATES INCORPORATES THE FOUR "H"S. ONE OF MY FAVORITE ANECDOTES INVOLVES HANDS, HEAD, AND HEART. WHO IS A LABORER? A LABORER IS SOMEONE WHO USES HER/HIS HANDS TO CREATE. WHO IS A CRAFTSPERSON? A CRAFTSPERSON IS SOMEONE WHO USES HER/HIS HANDS AND HEAD TO CREATE. WHO IS AN ARTIST? AN ARTIST IS SOMEONE WHO USES HER/HIS HANDS, HEAD, AND HEART TO CREATE. "WHERE," YOU MIGHT ASK, "IS THE FOURTH 'H'?" THE PERSON WHO USES HANDS, HEAD, AND HEART TO CREATE WILL ACHIEVE PHYSICAL, MENTAL, AND PSYCHOLOGICAL HEALTH. I CANNOT REMEMBER THE EXACT QUOTE, BUT JAMES GALLAGHER SAID WE DISGUST OURSELVES WHEN WE DO NOT ACHIEVE OUR MAXIMUM POTENTIAL, SOME OF THE MOST COGENT WORDS I HAVE EVER HEARD. IF ALL OF US USE OUR HANDS, HEADS, AND HEARTS TO ACHIEVE PHYSICAL, MENTAL, AND PSYCHOLOGICAL HEALTH, WE SHALL BE THE LABORERS, CRAFTSPERSONS, AND ARTISTS WHO PASS ALONG THE GIFT OF "SHALOM" ("WHOLENESS") TO FUTURE GENERATIONS. MANY OF MY TEACHERS HAVE INFLUENCED MY LIFE, PERSONAL AND PROFESSIONAL. IN PARTICULAR, I WOULD CITE MY HIGH SCHOOL LATIN TEACHER, RUTH STEARNS, WHO SERVED AS A ROLE MODEL, AND ONE OF MY HIGH SCHOOL ENGLISH TEACHERS, MICHAEL STEPHANIAN, WHO SERVED AS A MENTOR. DESPITE THE FACT THAT SHE WAS TEACHING WHAT MANY PEOPLE CONSIDER TO BE A "DEAD" LANGUAGE, MISS STEARNS WAS VERY MUCH ALIVE IN HER LOVE OF LEARNING. SHE EMBODIED A PASSION FOR HER SUBJECT MATTER AND A STANDARD OF EXCELLENCE. MR. STEPHANIAN GAVE ME MY FIRST OPPORTUNITY TO TEACH IN A FORMAL WAY. AS MY ADVISER IN THE FUTURE TEACHERS OF AMERICA CLUB, HE ALLOWED ME TO TEACH ONE LESSON TO ALL OF HIS CLASSES DURING MY JUNIOR YEAR AND ONE WEEK OF LESSONS TO ONE OF HIS CLASSES DURING MY SENIOR YEAR. AFTER TEACHING ENGLISH AND LATIN FOR THE FIRST THREE YEARS OF MY CAREER, I RAISED A FAMILY OF TWO GIFTED CHILDREN; AND, AS A RESULT OF MY VOLUNTEER EFFORTS IN THE OREGON SCHOOL DISTRICT, I ENTERED THE FIELD OF GIFTED AND TALENTED EDUCATION. SINCE MY RETIREMENT IN 2001, I HAVE BEEN TEACHING ENGLISH AS A SECOND LANGUAGE THROUGH THE MADISON FRIENDS OF INTERNATIONAL STUDENTS. OUR STUDENTS COME ALL OVER THE WORLD, PRIMARILY KOREA, JAPAN, AND CHINA, BUT ALSO BELARUS, BRAZIL, CHILE, HUNGARY, LITHUANIA, SPAIN, THAILAND, VIET NAM, AND MANY OTHER COUNTRIES. MY HUSBAND AND I HAVE HAD THE OPPORTUNITY TO TRAVEL TO MANY OF THESE COUNTRIES FOR PROFESSIONAL CONFERENCES (CHINA IN 1987, PORTUGAL IN 1990, PRAGUE IN 1996, JAPAN IN 1999, ETC.) WE HAVE BEEN FOLLOWING OUR SON AND DAUGHTER-IN-LAW FOR THE PAST 13 YEARS AS THEY HAVE MASTERED THEIR BALLROOM DANCE SKILLS AT COMPETITIONS IN BALTIMORE, LOS ANGELES, LOUISVILLE, MINNEAPOLIS-ST. PAUL, SALT LAKE CITY, SAN JOSE, ETC. THEY ARE NOW NATIONAL AND INTERNATIONAL CHAMPIONS SO WE HAVE ALSO TRAVELED TO CANADA, BELGIUM, AND ENGLAND. MY DAUGHTER, HER HUSBAND, AND THEIR CHILDREN SPEND TIME WITH US WHEN WE TAKE OUR BOAT ON LAKE MENDOTA. MY TWO GRANDCHILDREN ARE STUDYING PIANO WITH ME ONCE A WEEK.